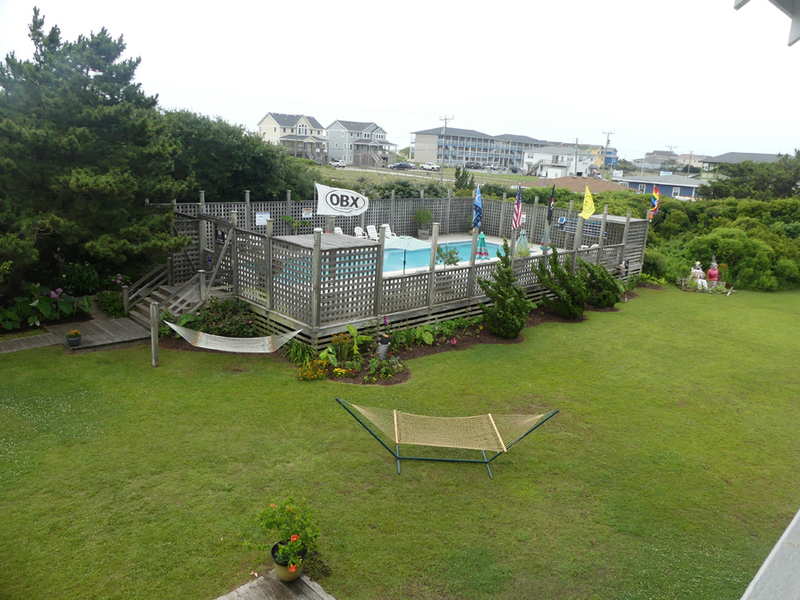 First Colony Inn is the perfect place to immerse yourself in Outer Banks history while enjoying all the modern conveniences. 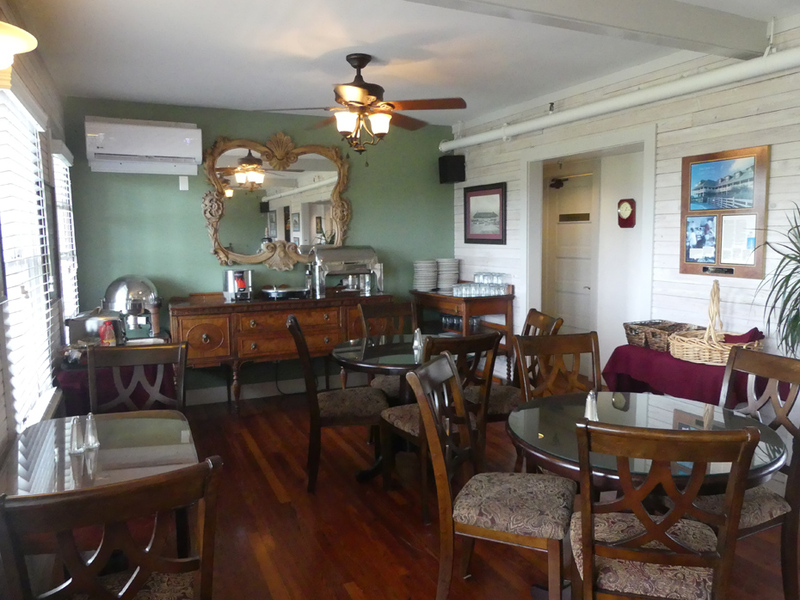 Lost Colony Inn is not luxurious but it is comfortable and so welcoming. From the minute you step in and register you feel like you are home. Just up the steps behind you there is a library/game room/ family room. There is a small library's worth of books. 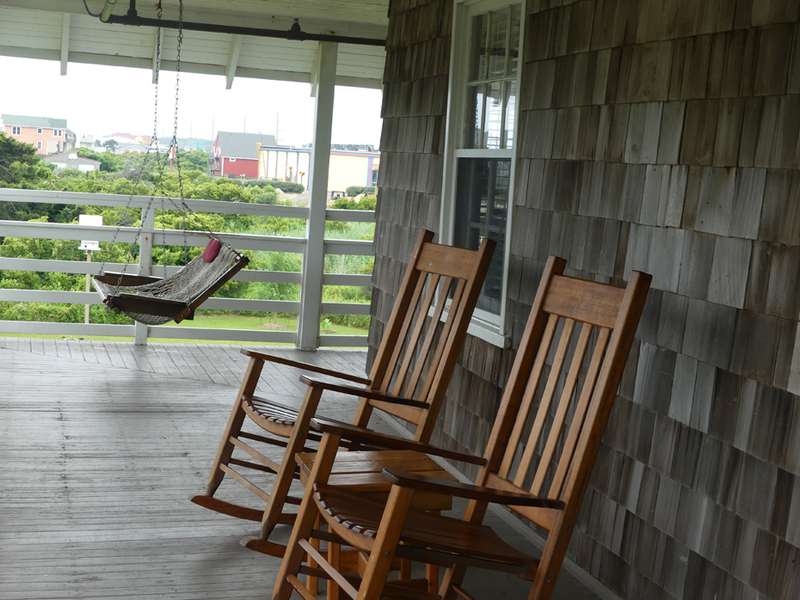 Novels and Outer Banks stories accommodate any taste. A chess set sits on the coffee table in front of the big plush sofa. Other games are there too. Newspapers and magazines are around. There are those modern necessities, a computer and printer, on another table if you need to be in touch with the modern world. The inn is located just across the bridge on Nags Head so it's convenient no matter where you want to go on the Outer Banks. 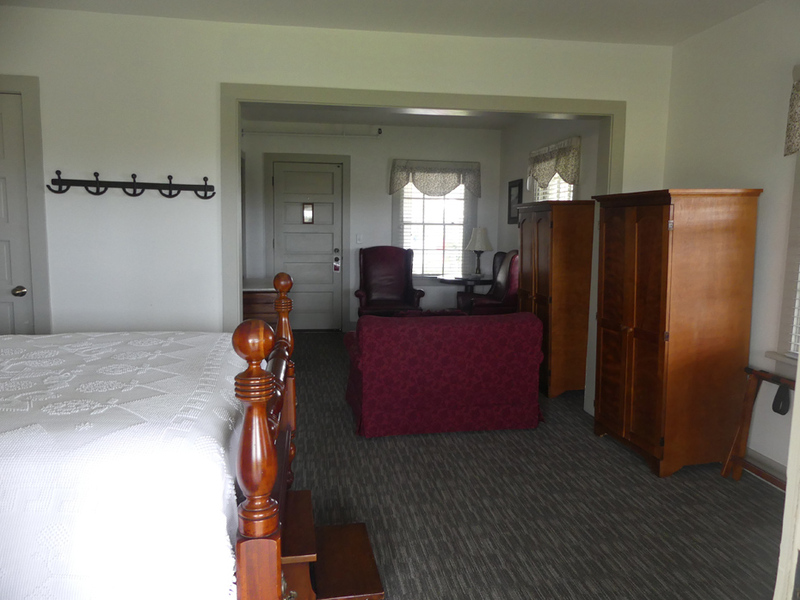 Each room or suite is named for one of the people who disappeared with the lost colony. 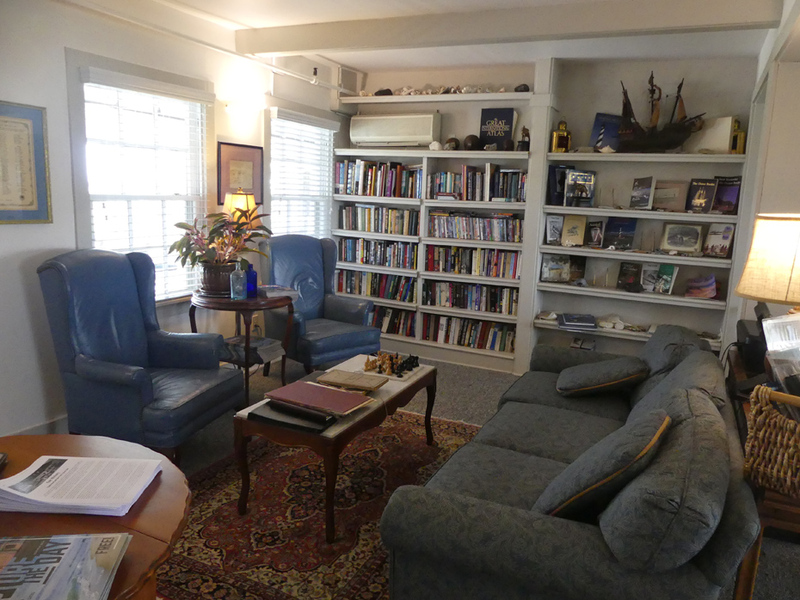 Most of the rooms are set up like suites with a separated living room area. All are furnished in an old English style where any of the namesakes would feel at home. They might not know what to make of the modern conveniences like the heat and air conditioning, flat screen TV and DVD, microwave, refrigerator, Keurig coffee maker, digital safe, iron/ironing board, heated towel bars, and hair dryers. My suite, as did most, opened unto the verandas where one could sit and look down on the pool and gardens surrounding it. Or from a different vantage point, watch the ocean waves breaking on the beach just across the road. Breakfast is served from 8 to 9:30am in the John White room directly behind the office. It's more than a continental as there is always something hot as well as standard continual items. There is an evening social from 3 to 5pm also in the John White room with wine, assorted cheese, dessert, sweet tea and lemonade. Soft drinks and beer are for sale while the office is open. My suite was named for Margaret Lawrence, Elyoner Dare's maidservant. She chose to accompany her mistress across uncharted seas to a new land. Was she hoping the new land would offer her more than a life of servitude? We'll never know. One of the other rooms was named for a special woman, Margery Harvie. This was the other woman who bore a child in the lost colony sometime after Virginia Dare. Wouldn’t you love to know all their stories? First Colony Inn has an interesting history of its own as well. 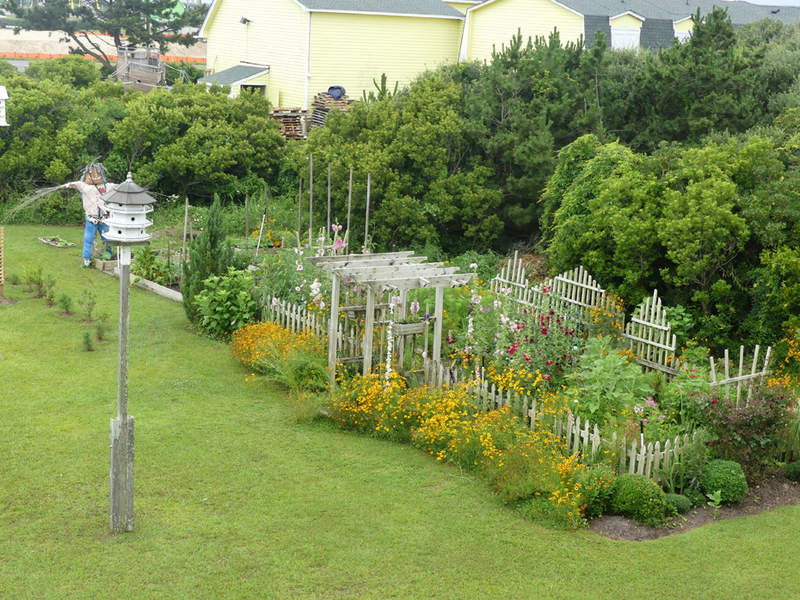 It's the oldest bed and breakfast in continuous operation on Nags Head. It was originally opened 1932 as LeRoy's Seaside Inn by Henry LeRoy. 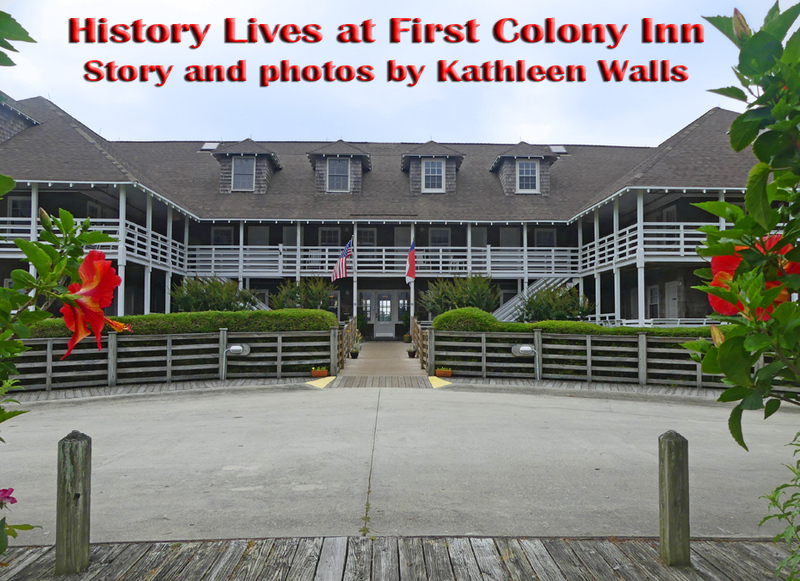 It was renamed First Colony Inn in 1937 when he sold it to Capt. C.P. (Neil) Midgett and Ernest J. Jones. Captain Neil and his wife Miss Daisy operated the inn until 1961. Next it passed into the hands of the Winslow s who owned another inn on the island. They did the first major remodeling converting the existing rooms into twenty-three modernly furnished apartments. As we know the Outer Banks are exposed to hurricanes and an Ash Wednesday storm in 1962 caused major damage and flooded the first floor. Once more remodeled, the inn opened for the 1962 season under the ownership of the Clarks. Part of their renovations converted north and south end attic spaces to rentable rooms with dormers. By 1988 the First Colony Inn had become so run down the current owner, Mr. Kemp, declared it useless and wanted to have it burned down. There was too much history and spirit there to go down without a fight. The Nags Head Board of Commissioners passed an ordinance prohibiting the burning of historically significant structures. Kemp then offered it to anyone who would move it off his land. Finally, a location just about three miles south on the beach was secured. In August 1988, the move began. The building was separated into three sections and reassembled at its present location. It was restored to its original condition and reopened as a bed and breakfast in 1991. It still retains its traditional style with simple wood-frame construction, with encircling verandas with a broad overhang and sweeping roofline designed to catch ocean breezes before the days of air conditioning. 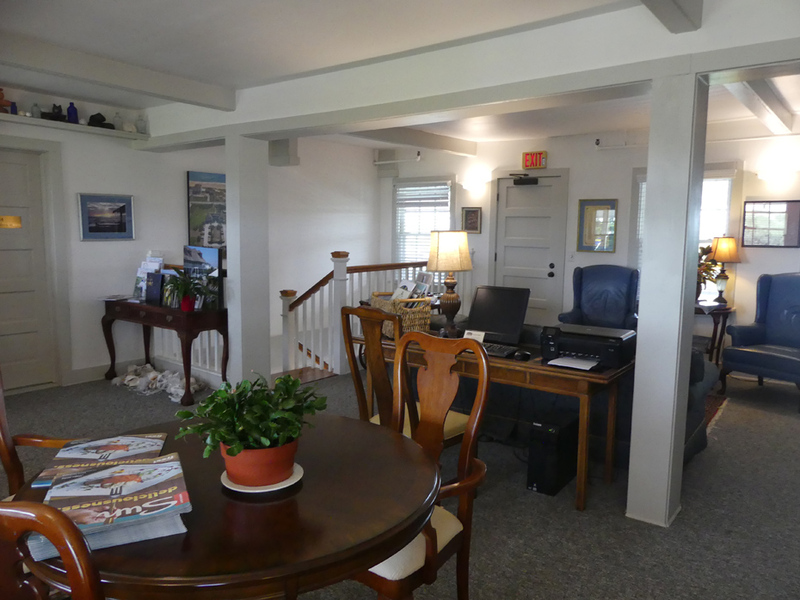 First Colony Inn is more than a place to stay. It's a place where history stayed.